Dimples on cheeks are considered ‘cute’ by many. The demand for surgically created dimples is increasing. This is a safe and effective surgery and is done under local anesthesia as a day care procedure. The results of it are permanent. It is equally effective in both men and women. Under local anesthesia, a small depression is created in the muscle of cheek region. This is done through the inside of the mouth without leaving any external scars. A natural dimple is usually formed when there is a small defect in the cheek musculature. After healing the skin overlying this small defect gets stuck down to the underlying connective tissue and creates a dimple in the skin with facial animation (smiling). Who is a good candidate for dimple creation surgery? Every individual except those with following risk factors are suitable candidates for this surgery. How are dimples created surgically? 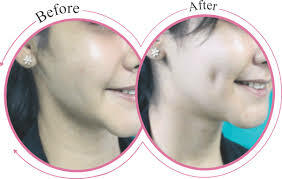 Dimple creation is achieved by recreating the defect in the cheek muscle. To accomplish this, Plastic Surgeon makes a small incision inside the mouth to access the interior of the cheek and then removes a tiny piece of the cheek muscle. An absorbable suture is then used to adhere the underside of the cheek skin to the newly-created defect in the cheek muscle. The incision inside the mouth is closed with one or two absorbable stitches. What is the downtime after Facial Plastic Surgery? Number of times you need to come to hospital after Dimple surgery? The sutures are inside the mouth and they are absorbable. There is no need to visit the clinic following the operation. We would definitely like to hear from you from time to time regarding your progress and would like to see you once after 3 – 4 months to assess the actual result. In case of any problems we will be always there for your help. When can you expect to see the final result? Dimple created is permanent. Initially due to the swelling of the surrounding skin it will be more obvious and will obvious all the time. Once the swelling settles it will be obvious only when you smile. This final result may take around 2-3 months’ time. Dimple Surgery Is it reversible? This operation is very safe, effective and is potentially reversible. Though reversing would need another surgical procedure in the form of recreation of the space between the skin and the muscle and injecting fat in that place. Dimple is considered a sign of ‘beauty’ in Indian culture. In some cultures, dimples are considered a sign of good luck and prosperity. Dimples brighten once smile and add character to it. 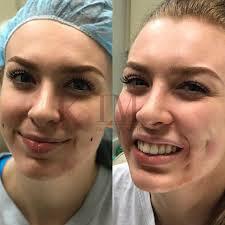 Many patients state that one of their siblings or close friends have a dimple and they are happy to know that dimple surgery is available to give them that option as well.